Smile Direct Club Has Arrived In Toronto, Here’s what you need to know. 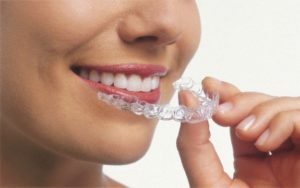 Why you should incorporate Clear Aligners into your Dental Practice? What does this mean for the General Practitioner’s practice? "’You mean to tell me that Invisalign® is not just about straightening a few crooked teeth? And that any patient with abfractions and incisal wear can benefit from Invisalign®?’ One thing going for me was that I had a pretty busy hygiene department seeing 300 to 400 patients per month. I also became aware that 74% of my patients had malocclusion. As I ran the numbers, I calculated that as many as 300 patients who visit my office each month can benefit from some orthodontic services." Dr. Casañas immediately realized the untapped potential in his practice. Now taking this even one step further, one of the primary misconceptions is that clear aligners are merely used in correcting mild cases of crooked or protruding teeth when, in reality, patients with severe malocclusion such as severe skeletal class 3 malocclusion, complicated by severe crowding and complete absence of CO can benefit from clear aligners. Dr. Marika Dekanoidze was presented with that exact case in 2015. A 27-year-old patient that had been consulted by five different orthodontists and oral surgeons. He did not have the time or money to follow through on their prescribed treatment plan and nor was he willing to endure Lefort-type surgery. Though Dr. Dekanoidze is a pioneer of clear aligner therapy with over 1500 cases under her belt at the time, she still had a moment of hesitation in offering the patient his requested treatment modality. Nonetheless, when Dr. Dekanoidze advised the patient that she would agree to treat him, his reaction erased all doubt from her mind that she had made the right decision. There is an argument that a strong orthodontic diagnosis and treatment background is required to responsibly treat a patient. 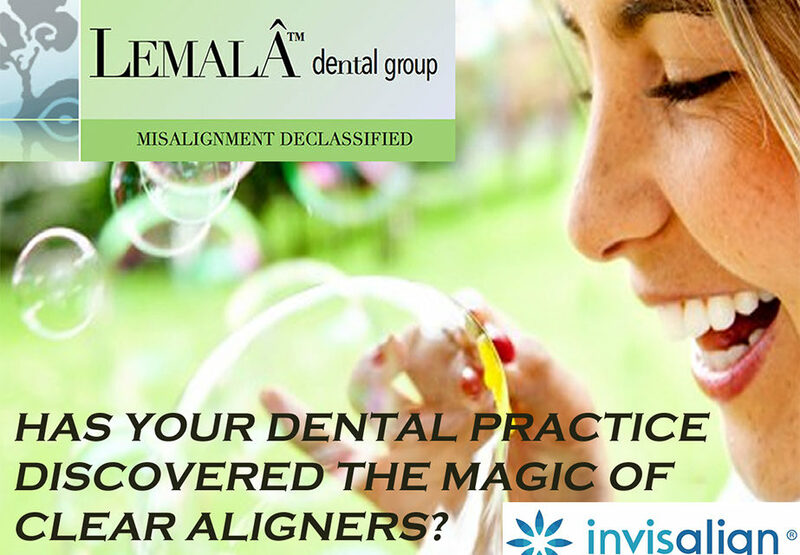 There is also the claim that incorporating clear aligner therapy in your practice is costly and complex. Both arguments are easily disputed. If you’re interested in growing your patient list, doubling your production and achieving maximum revenue and patient satisfaction then the decision to adopt clear aligner therapy in your dental practice is straight-forward. Succeeding seamless growth and immediate results from the first day with minimal disruption through the initial transition is the key to success and we can help. 1. An opportunity to engage or incorporate - at a customized extent - clear aligner therapy into your practice of dentistry, while maintaining your own ideas, styles and strategy. 2. Invisalign® corporate discount tier benefits with saving at approximately 40% or more from day one. Other substantial exclusive group discounts (without buying volume) on dental supplies, equipment, energy (gas, electricity) and more. 3. Achieving a high volume of new patient flow with minimum advertising expenses with a unique opportunity to sky rocket production in a short period of time. 4. Creating a steady additional recall program (6 months and yearly ortho recalls) benefitting the patient who is maintaining the achieved results while benefitting the business (most efficient chair time cost appointment) and the opportunity to retain a substantial number of patients for other dental and hygiene procedures, thus building your practice in record time and generating restorative and hygiene income. 5. Step by step manual on how you can achieve a 99% acceptance of treatment that includes clinical support, onsite personalized training and the rights to use the Classification of Misalignment© in treatment planning. Reach out to us today to discuss how Lemala™ Dental Group can transition your dental practice into a highly profitable, production maximizing business that puts patient care and satisfaction first. We are a group of independent dental practices, serving your needs and providing the public with a variety of dental services. We have license to use Lemala™ trademark.